Binance Coin price increased after the new token sale rules were announced on the parent site. Following the South Korean giant, other exchanges are launching similar initiatives. It is no secret that many exchanges deliberately overestimate trading volumes. This and other pieces of news are covered in our weekly digest. Perhaps one of the highest-profile news of the past week was the surge of the BNB token price. Binance changed the format of token sales on its platform with the tokens currently sold in a lottery format. 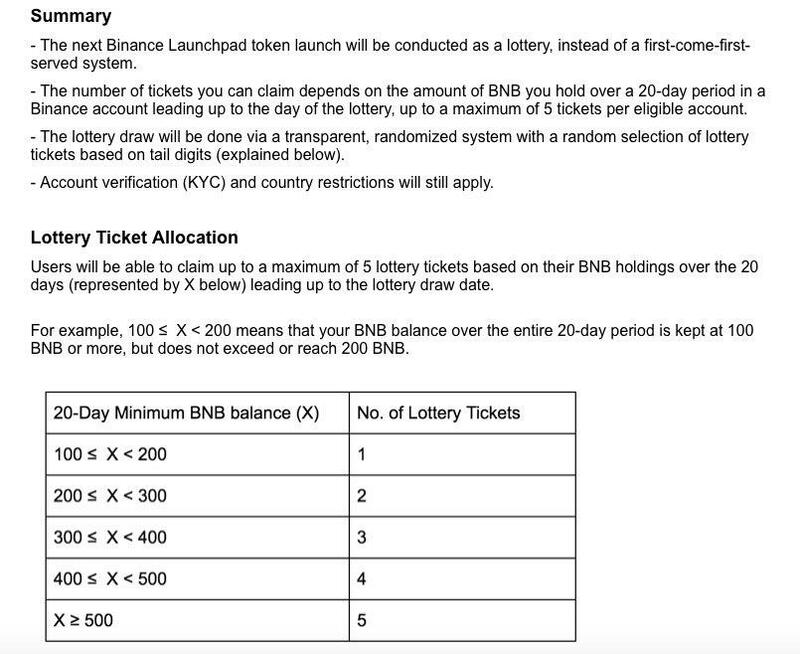 The Binance Launchpad is offering lottery tickets – which must be kept in a BNB account – for participation in the token sales. The more tokens you have, the better are your chances of winning. And the BNB price went up on such news. The next IEO will be held as a lottery with only BNB holders eligible to participate. To get 1 ticket you need to keep 100 BNB coins in your account for 20 days, to get 2 tickets – 200 coins, etc. 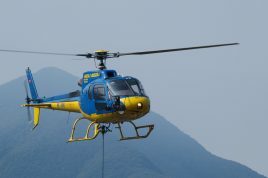 A participant can receive up to 5 tickets maximum. Binance intends to hold 1 or 2 IEOs per month, so users are incentivised to hold their coins as a lottery ticket is only issued after the coins have “slept” on accounts for 20 days. Given the planned IEO frequency, it will simply make no sense for users to get rid of the cryptocurrency. Binance has made a competent move: as a result, the number of BNBs on the market will shrink while demand will go up. Token sales on crypto exchanges (IEO) are a new trend that has rapidly gained popularity thanks to Binance. They have been named IEO, which stands for “Initial Exchange Offering”. A token sale’s key difference from an ICO is that it takes place straight on the exchange which ensures the project’s listing. Besides, the exchange puts its reputation at stake when it backs a project thus providing additional guarantees to investors. This format allows token sale organisers to dramatically save on their marketing budgets, as it is beneficial for the exchange to advertise the project on its own. Exchanges continue to launch analogues of Binance Launchpad. The KuCoin cryptocurrency exchange has announced a similar platform this week. Analogues earlier appeared on Bittrex and OKEx. KuCoin has been persistent in its pursuit of finding and supporting blockchain projects with real potential. KuCoin’s vision brings Spotlight to the stage. — KuCoin Updates (@KuCoinUpdates) 20 марта 2019 г. The blog reports that the information about the first token sale will appear this week. The tokens will be distributed on the first-come, first-served basis: that is, in the order investor applications are received. One has to own a token of KuCoin Shares (KCS) stock exchange in order to purchase coins. A study suggests that 95% of trading volumes on crypto exchanges are falsified. Bitwise conducted a study commissioned by the US SEC. It turned out that almost 95% of the trading volume on stock exchanges is faked. The actual trading volume is $273 million while $6 billion is false. So, according to the study’s authors, only $27 million out of $480 million declared by Coinbase stock exchange are real. Actual trading volume on Binance is $110 mln. 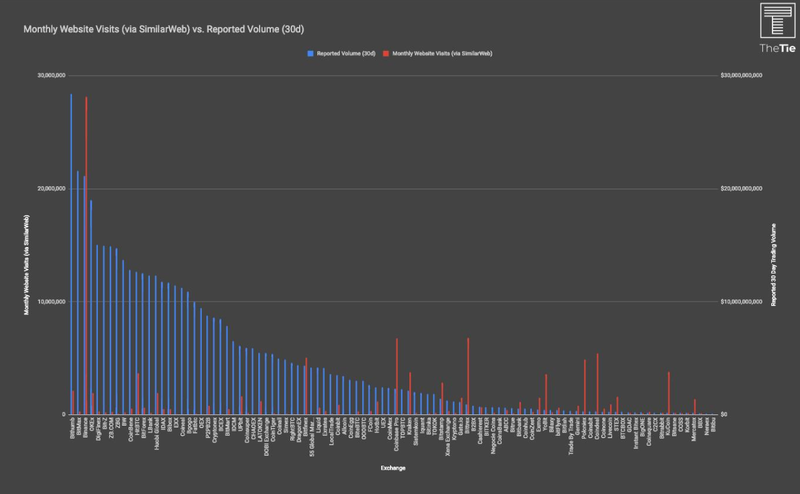 The analysts compared the volume of trades reported by the exchanges and the number of daily clicks with the data of the resource on traffic analysis on SimilarWeb site: in most cases there was a big mismatch between the figures. Vitalik Buterin has withdrawn $40-million-worth Ethereum over the last 8 months. It turns out that between June 2017 and February 2018, Buterin sold a significant part of his assets. 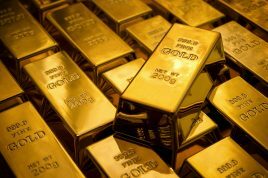 According to Alex Sunnaborg, a partner in the New York-based hedge fund Tetras Capital, Buterin converted $40 million-worth altcoins into cash. Buterin claims that he has no more than $30 million at the moment having spent $8 million on charitable donations. In particular, he has provided 200,000 ETH to the Omise Go project. Yahoo has announced a crypto currency exchange launch! The new crypto exchange to be called Taotao will begin operations in May 2019. The Japanese division of Yahoo has acquired 40% of the Japanese BitAR site, of which Taotao is the successor. Yahoo has paid $19 million for the stake. 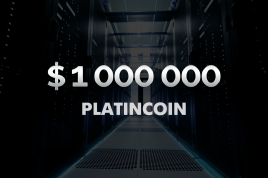 The site has already received a license from the Japanese regulator and has every chance to gain a significant market share. Immediately after the launch, the exchange will work with two cryptocurrencies – Bitcoin and Ethereum with both assets also available for margin trading. Users can already register and participate in the airdrop on the site. Once again, EOS, Tron and Ethereum are the leaders. Bitcoin, on the other hand, has dropped to rank 15, losing 2 points, while Tron has dislodged Ethereum from the 2nd position, significantly outperforming the latter in terms of Basic Technology. 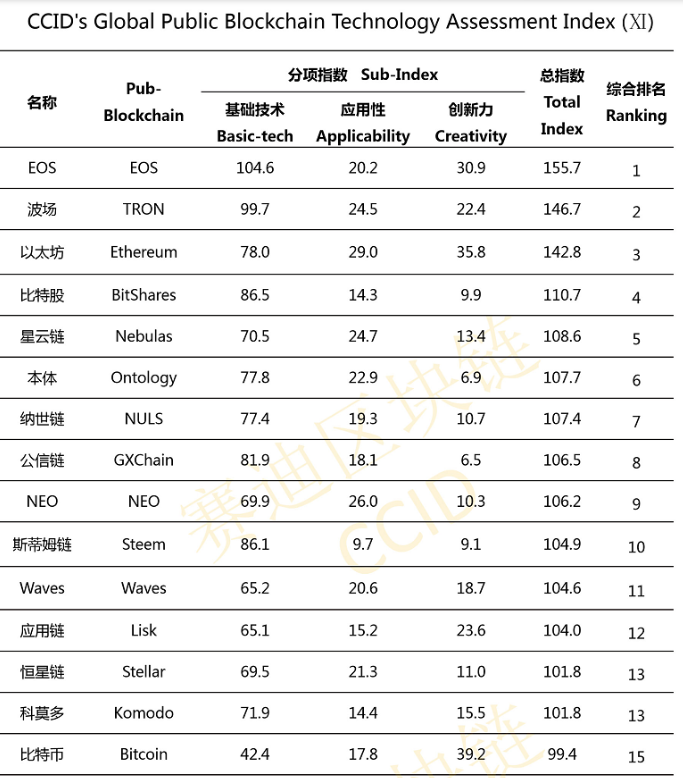 Such projects as BitShares, NULS, GXChain, NEO and Lisk have overtaken Bitcoin. The rating’s authors assess cryptocurrencies against 3 indicators: basic technology, applicability and creativity. According to Blockchain.com, the network’s hash rate on Tuesday, March 19, was 52 EH/s. These figures indicate optimism in the market. Hash rate is the total computing power of mining equipment involved in cryptocurrency mining. 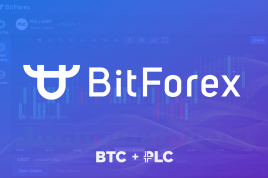 Meet a pair PLC/BTC on BitForex!